If You do not receive an email after registering ,check your spam folder in Your mailbox . 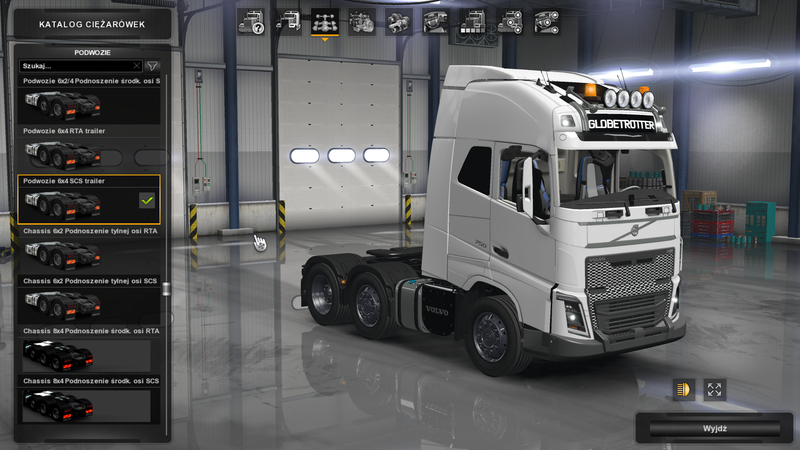 When doing Volvo tests in each chassis configuration I noticed a small error in the truck selection menu that you want to drive or change and when I wanted to change to Volvo in the 8x4 chassis configuration I noticed that the truck is shown in 6x4 chassis and not 8x4 as was bought. I will add that this is the latest update on patch 1.30. 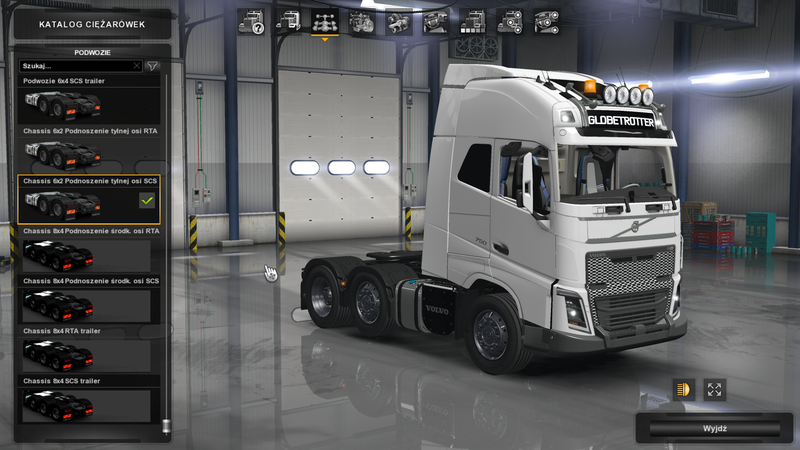 I'll start with Volvo to Ats and the last update at 1.31. Well, a terrible mess is when choosing a chassis, there are chassis not matching the description I mean, for example, a 6x2 chassis, the rear axle corresponds to the 6x2 chassis, the raised central axle, the 6x4 chassis looks like a 6x2 / 4 chassis raised central axis. This interior still does not work for switching information, for example, how much fuel we have in the tank, I did not try to connect it because I suspect that it would throw my game to the desktop, there is a lot of bugs in the console due to the interior. 00:01:05.855 : Garage update finished. 00:01:07.630 : <ERROR> [unit] The unit '_nameless.46f.9ed0' of type 'ui::text_common' has dangling pointer (to 'txt.volvo2012.fuel') in the attribute named 'look_template'. 00:01:07.630 : <ERROR> [unit] The unit '_nameless.46a.fcc0' of type 'ui::text_common' has dangling pointer (to 'txt.volvo2012.fuel') in the attribute named 'look_template'. 00:01:07.630 : <WARNING> [unit] The pointer to 'txt.volvo2012.fuel' looks like dangling pointer. 00:01:07.630 : <ERROR> [unit] The unit '_nameless.46a.fee0' of type 'ui::text_common' has dangling pointer (to 'txt.volvo2012.clock') in the attribute named 'look_template'. 00:01:07.630 : <ERROR> [unit] The unit '_nameless.46a.fdd0' of type 'ui::text_common' has dangling pointer (to 'txt.volvo2012.temp') in the attribute named 'look_template'. 00:01:07.630 : <ERROR> [unit] The unit '_nameless.46a.fff0' of type 'ui::text_common' has dangling pointer (to 'txt.volvo2012.speed_small') in the attribute named 'look_template'. 00:01:07.630 : <ERROR> [unit] The unit '_nameless.46b.0210' of type 'ui::text_common' has dangling pointer (to 'txt.volvo2012.text') in the attribute named 'look_template'. 00:01:07.630 : <ERROR> [unit] The unit '_nameless.46b.0320' of type 'ui::text_common' has dangling pointer (to 'txt.volvo2012.speed_small') in the attribute named 'look_template'. 00:01:07.631 : <WARNING> [unit] The pointer to 'txt.volvo2012.clock' looks like dangling pointer. 00:01:07.631 : <WARNING> [unit] The pointer to 'txt.volvo2012.temp' looks like dangling pointer. 00:01:07.631 : <WARNING> [unit] The pointer to 'txt.volvo2012.speed_small' looks like dangling pointer. 00:01:07.631 : <WARNING> [unit] The pointer to 'txt.volvo2012.text' looks like dangling pointer. 00:01:07.631 : <ERROR> [unit] The unit '_nameless.46b.0430' of type 'ui::text_common' has dangling pointer (to 'txt.volvo2012.textsmall') in the attribute named 'look_template'. 00:01:07.631 : <WARNING> [unit] The pointer to 'txt.volvo2012.textsmall' looks like dangling pointer. 00:01:07.631 : <ERROR> [unit] The unit '_nameless.46b.0540' of type 'ui::text_common' has dangling pointer (to 'txt.volvo2012.temp') in the attribute named 'look_template'. 00:01:07.631 : <ERROR> [unit] The unit '_nameless.46b.0650' of type 'ui::text_common' has dangling pointer (to 'txt.volvo2012.temp') in the attribute named 'look_template'. 00:01:07.631 : <ERROR> [unit] The unit '_nameless.46b.0100' of type 'ui::text_common' has dangling pointer (to 'txt.volvo2012.speed_small') in the attribute named 'look_template'. 00:01:07.631 : <ERROR> [unit] The unit '_nameless.46b.0760' of type 'ui::text_common' has dangling pointer (to 'txt.volvo2012.textsmall') in the attribute named 'look_template'. 00:01:07.631 : <ERROR> [unit] The unit '_nameless.46b.0870' of type 'ui::text_common' has dangling pointer (to 'txt.volvo2012.textsmall') in the attribute named 'look_template'. 00:01:07.631 : <ERROR> [unit] The unit '_nameless.46b.0980' of type 'ui::text_common' has dangling pointer (to 'txt.volvo2012.fuel') in the attribute named 'look_template'. 00:01:07.631 : <ERROR> [unit] The unit '_nameless.46b.0a90' of type 'ui::text_common' has dangling pointer (to 'txt.volvo2012.fuel') in the attribute named 'look_template'. 00:01:10.620 : Incompatible save game loaded. 00:01:21.946 : <ERROR> [unit] The unit '_nameless.8d5.c0f0' of type 'ui::text_common' has dangling pointer (to 'txt.volvo2012.fuel') in the attribute named 'look_template'. 00:01:21.946 : <ERROR> [unit] The unit '_nameless.8d5.c200' of type 'ui::text_common' has dangling pointer (to 'txt.volvo2012.fuel') in the attribute named 'look_template'. 00:01:21.946 : <WARNING> [unit] The pointer to 'txt.volvo2012.fuel' looks like dangling pointer. 00:01:21.946 : <ERROR> [unit] The unit '_nameless.8d5.c420' of type 'ui::text_common' has dangling pointer (to 'txt.volvo2012.clock') in the attribute named 'look_template'. 00:01:21.946 : <ERROR> [unit] The unit '_nameless.8d5.c310' of type 'ui::text_common' has dangling pointer (to 'txt.volvo2012.temp') in the attribute named 'look_template'. 00:01:21.946 : <ERROR> [unit] The unit '_nameless.5b2.4a30' of type 'ui::text_common' has dangling pointer (to 'txt.volvo2012.speed_small') in the attribute named 'look_template'. 00:01:21.946 : <ERROR> [unit] The unit '_nameless.840.9990' of type 'ui::text_common' has dangling pointer (to 'txt.volvo2012.text') in the attribute named 'look_template'. 00:01:21.947 : <ERROR> [unit] The unit '_nameless.840.9aa0' of type 'ui::text_common' has dangling pointer (to 'txt.volvo2012.speed_small') in the attribute named 'look_template'. 00:01:21.947 : <WARNING> [unit] The pointer to 'txt.volvo2012.clock' looks like dangling pointer. 00:01:21.947 : <WARNING> [unit] The pointer to 'txt.volvo2012.temp' looks like dangling pointer. 00:01:21.947 : <WARNING> [unit] The pointer to 'txt.volvo2012.speed_small' looks like dangling pointer. 00:01:21.947 : <WARNING> [unit] The pointer to 'txt.volvo2012.text' looks like dangling pointer. 00:01:21.947 : <ERROR> [unit] The unit '_nameless.840.9bb0' of type 'ui::text_common' has dangling pointer (to 'txt.volvo2012.textsmall') in the attribute named 'look_template'. 00:01:21.947 : <WARNING> [unit] The pointer to 'txt.volvo2012.textsmall' looks like dangling pointer. 00:01:21.947 : <ERROR> [unit] The unit '_nameless.840.9cc0' of type 'ui::text_common' has dangling pointer (to 'txt.volvo2012.temp') in the attribute named 'look_template'. 00:01:21.947 : <ERROR> [unit] The unit '_nameless.840.9dd0' of type 'ui::text_common' has dangling pointer (to 'txt.volvo2012.temp') in the attribute named 'look_template'. 00:01:21.947 : <ERROR> [unit] The unit '_nameless.840.9880' of type 'ui::text_common' has dangling pointer (to 'txt.volvo2012.speed_small') in the attribute named 'look_template'. 00:01:21.947 : <ERROR> [unit] The unit '_nameless.840.9ee0' of type 'ui::text_common' has dangling pointer (to 'txt.volvo2012.textsmall') in the attribute named 'look_template'. 00:01:21.947 : <ERROR> [unit] The unit '_nameless.840.9ff0' of type 'ui::text_common' has dangling pointer (to 'txt.volvo2012.textsmall') in the attribute named 'look_template'. 00:01:21.947 : <ERROR> [unit] The unit '_nameless.840.a100' of type 'ui::text_common' has dangling pointer (to 'txt.volvo2012.fuel') in the attribute named 'look_template'. 00:01:21.947 : <ERROR> [unit] The unit '_nameless.840.a210' of type 'ui::text_common' has dangling pointer (to 'txt.volvo2012.fuel') in the attribute named 'look_template'. 00:01:29.052 : <ERROR> [unit] The unit '_nameless.895.3bb0' of type 'ui::text_common' has dangling pointer (to 'txt.volvo2012.fuel') in the attribute named 'look_template'. 00:01:29.053 : <ERROR> [unit] The unit '_nameless.895.3cc0' of type 'ui::text_common' has dangling pointer (to 'txt.volvo2012.fuel') in the attribute named 'look_template'. 00:01:29.053 : <WARNING> [unit] The pointer to 'txt.volvo2012.fuel' looks like dangling pointer. 00:01:29.053 : <ERROR> [unit] The unit '_nameless.895.3ee0' of type 'ui::text_common' has dangling pointer (to 'txt.volvo2012.clock') in the attribute named 'look_template'. 00:01:29.054 : <ERROR> [unit] The unit '_nameless.895.3dd0' of type 'ui::text_common' has dangling pointer (to 'txt.volvo2012.temp') in the attribute named 'look_template'. 00:01:29.054 : <ERROR> [unit] The unit '_nameless.895.3ff0' of type 'ui::text_common' has dangling pointer (to 'txt.volvo2012.speed_small') in the attribute named 'look_template'. 00:01:29.055 : <ERROR> [unit] The unit '_nameless.895.4210' of type 'ui::text_common' has dangling pointer (to 'txt.volvo2012.text') in the attribute named 'look_template'. 00:01:29.055 : <ERROR> [unit] The unit '_nameless.895.4320' of type 'ui::text_common' has dangling pointer (to 'txt.volvo2012.speed_small') in the attribute named 'look_template'. 00:01:29.055 : <WARNING> [unit] The pointer to 'txt.volvo2012.clock' looks like dangling pointer. 00:01:29.055 : <WARNING> [unit] The pointer to 'txt.volvo2012.temp' looks like dangling pointer. 00:01:29.056 : <WARNING> [unit] The pointer to 'txt.volvo2012.speed_small' looks like dangling pointer. 00:01:29.056 : <WARNING> [unit] The pointer to 'txt.volvo2012.text' looks like dangling pointer. 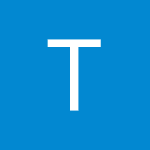 00:01:29.056 : <ERROR> [unit] The unit '_nameless.895.4430' of type 'ui::text_common' has dangling pointer (to 'txt.volvo2012.textsmall') in the attribute named 'look_template'. 00:01:29.056 : <WARNING> [unit] The pointer to 'txt.volvo2012.textsmall' looks like dangling pointer. 00:01:29.056 : <ERROR> [unit] The unit '_nameless.895.4540' of type 'ui::text_common' has dangling pointer (to 'txt.volvo2012.temp') in the attribute named 'look_template'. 00:01:29.056 : <ERROR> [unit] The unit '_nameless.8c5.89e0' of type 'ui::text_common' has dangling pointer (to 'txt.volvo2012.temp') in the attribute named 'look_template'. 00:01:29.057 : <ERROR> [unit] The unit '_nameless.895.4100' of type 'ui::text_common' has dangling pointer (to 'txt.volvo2012.speed_small') in the attribute named 'look_template'. 00:01:29.057 : <ERROR> [unit] The unit '_nameless.8c5.7f40' of type 'ui::text_common' has dangling pointer (to 'txt.volvo2012.textsmall') in the attribute named 'look_template'. 00:01:29.057 : <ERROR> [unit] The unit '_nameless.8c5.8050' of type 'ui::text_common' has dangling pointer (to 'txt.volvo2012.textsmall') in the attribute named 'look_template'. 00:01:29.057 : <ERROR> [unit] The unit '_nameless.8c5.8160' of type 'ui::text_common' has dangling pointer (to 'txt.volvo2012.fuel') in the attribute named 'look_template'. 00:01:29.057 : <ERROR> [unit] The unit '_nameless.8c5.8270' of type 'ui::text_common' has dangling pointer (to 'txt.volvo2012.fuel') in the attribute named 'look_template'. 00:01:29.078 : <ERROR> [unit] The unit '_nameless.840.9cc0' of type 'ui::text_common' has dangling pointer (to 'txt.volvo2012.fuel') in the attribute named 'look_template'. 00:01:29.078 : <ERROR> [unit] The unit '_nameless.840.9dd0' of type 'ui::text_common' has dangling pointer (to 'txt.volvo2012.fuel') in the attribute named 'look_template'. 00:01:29.079 : <WARNING> [unit] The pointer to 'txt.volvo2012.fuel' looks like dangling pointer. 00:01:29.079 : <ERROR> [unit] The unit '_nameless.840.9ee0' of type 'ui::text_common' has dangling pointer (to 'txt.volvo2012.clock') in the attribute named 'look_template'. 00:01:29.079 : <ERROR> [unit] The unit '_nameless.840.9880' of type 'ui::text_common' has dangling pointer (to 'txt.volvo2012.temp') in the attribute named 'look_template'. 00:01:29.080 : <ERROR> [unit] The unit '_nameless.840.9ff0' of type 'ui::text_common' has dangling pointer (to 'txt.volvo2012.speed_small') in the attribute named 'look_template'. 00:01:29.080 : <ERROR> [unit] The unit '_nameless.840.a210' of type 'ui::text_common' has dangling pointer (to 'txt.volvo2012.text') in the attribute named 'look_template'. 00:01:29.080 : <ERROR> [unit] The unit '_nameless.895.2430' of type 'ui::text_common' has dangling pointer (to 'txt.volvo2012.speed_small') in the attribute named 'look_template'. 00:01:29.080 : <WARNING> [unit] The pointer to 'txt.volvo2012.clock' looks like dangling pointer. 00:01:29.080 : <WARNING> [unit] The pointer to 'txt.volvo2012.temp' looks like dangling pointer. 00:01:29.080 : <WARNING> [unit] The pointer to 'txt.volvo2012.speed_small' looks like dangling pointer. 00:01:29.080 : <WARNING> [unit] The pointer to 'txt.volvo2012.text' looks like dangling pointer. 00:01:29.081 : <ERROR> [unit] The unit '_nameless.895.2210' of type 'ui::text_common' has dangling pointer (to 'txt.volvo2012.textsmall') in the attribute named 'look_template'. 00:01:29.081 : <WARNING> [unit] The pointer to 'txt.volvo2012.textsmall' looks like dangling pointer. 00:01:29.081 : <ERROR> [unit] The unit '_nameless.895.2540' of type 'ui::text_common' has dangling pointer (to 'txt.volvo2012.temp') in the attribute named 'look_template'. 00:01:29.081 : <ERROR> [unit] The unit '_nameless.895.2100' of type 'ui::text_common' has dangling pointer (to 'txt.volvo2012.temp') in the attribute named 'look_template'. 00:01:29.081 : <ERROR> [unit] The unit '_nameless.840.a100' of type 'ui::text_common' has dangling pointer (to 'txt.volvo2012.speed_small') in the attribute named 'look_template'. 00:01:29.081 : <ERROR> [unit] The unit '_nameless.895.1ff0' of type 'ui::text_common' has dangling pointer (to 'txt.volvo2012.textsmall') in the attribute named 'look_template'. 00:01:29.081 : <ERROR> [unit] The unit '_nameless.895.1aa0' of type 'ui::text_common' has dangling pointer (to 'txt.volvo2012.textsmall') in the attribute named 'look_template'. 00:01:29.081 : <ERROR> [unit] The unit '_nameless.895.1ee0' of type 'ui::text_common' has dangling pointer (to 'txt.volvo2012.fuel') in the attribute named 'look_template'. 00:01:29.081 : <ERROR> [unit] The unit '_nameless.895.1dd0' of type 'ui::text_common' has dangling pointer (to 'txt.volvo2012.fuel') in the attribute named 'look_template'. 00:01:29.834 : <ERROR> [unit] The unit '_nameless.8d5.c420' of type 'ui::text_common' has dangling pointer (to 'txt.volvo2012.fuel') in the attribute named 'look_template'. 00:01:29.834 : <ERROR> [unit] The unit '_nameless.8d5.c310' of type 'ui::text_common' has dangling pointer (to 'txt.volvo2012.fuel') in the attribute named 'look_template'. 00:01:29.834 : <WARNING> [unit] The pointer to 'txt.volvo2012.fuel' looks like dangling pointer. 00:01:29.835 : <ERROR> [unit] The unit '_nameless.5b2.4a30' of type 'ui::text_common' has dangling pointer (to 'txt.volvo2012.clock') in the attribute named 'look_template'. 00:01:29.835 : <ERROR> [unit] The unit '_nameless.8d5.ba90' of type 'ui::text_common' has dangling pointer (to 'txt.volvo2012.temp') in the attribute named 'look_template'. 00:01:29.835 : <ERROR> [unit] The unit '_nameless.895.3770' of type 'ui::text_common' has dangling pointer (to 'txt.volvo2012.speed_small') in the attribute named 'look_template'. 00:01:29.836 : <ERROR> [unit] The unit '_nameless.895.3cc0' of type 'ui::text_common' has dangling pointer (to 'txt.volvo2012.text') in the attribute named 'look_template'. 00:01:29.836 : <ERROR> [unit] The unit '_nameless.895.3ee0' of type 'ui::text_common' has dangling pointer (to 'txt.volvo2012.speed_small') in the attribute named 'look_template'. 00:01:29.837 : <WARNING> [unit] The pointer to 'txt.volvo2012.clock' looks like dangling pointer. 00:01:29.837 : <WARNING> [unit] The pointer to 'txt.volvo2012.temp' looks like dangling pointer. 00:01:29.837 : <WARNING> [unit] The pointer to 'txt.volvo2012.speed_small' looks like dangling pointer. 00:01:29.837 : <WARNING> [unit] The pointer to 'txt.volvo2012.text' looks like dangling pointer. 00:01:29.837 : <ERROR> [unit] The unit '_nameless.895.3dd0' of type 'ui::text_common' has dangling pointer (to 'txt.volvo2012.textsmall') in the attribute named 'look_template'. 00:01:29.837 : <WARNING> [unit] The pointer to 'txt.volvo2012.textsmall' looks like dangling pointer. 00:01:29.838 : <ERROR> [unit] The unit '_nameless.895.3ff0' of type 'ui::text_common' has dangling pointer (to 'txt.volvo2012.temp') in the attribute named 'look_template'. 00:01:29.838 : <ERROR> [unit] The unit '_nameless.895.4210' of type 'ui::text_common' has dangling pointer (to 'txt.volvo2012.temp') in the attribute named 'look_template'. 00:01:29.838 : <ERROR> [unit] The unit '_nameless.895.3bb0' of type 'ui::text_common' has dangling pointer (to 'txt.volvo2012.speed_small') in the attribute named 'look_template'. 00:01:29.838 : <ERROR> [unit] The unit '_nameless.895.4320' of type 'ui::text_common' has dangling pointer (to 'txt.volvo2012.textsmall') in the attribute named 'look_template'. 00:01:29.838 : <ERROR> [unit] The unit '_nameless.895.4430' of type 'ui::text_common' has dangling pointer (to 'txt.volvo2012.textsmall') in the attribute named 'look_template'. 00:01:29.838 : <ERROR> [unit] The unit '_nameless.895.4540' of type 'ui::text_common' has dangling pointer (to 'txt.volvo2012.fuel') in the attribute named 'look_template'. 00:01:29.838 : <ERROR> [unit] The unit '_nameless.895.4100' of type 'ui::text_common' has dangling pointer (to 'txt.volvo2012.fuel') in the attribute named 'look_template'. 00:01:29.859 : <ERROR> [unit] The unit '_nameless.895.1dd0' of type 'ui::text_common' has dangling pointer (to 'txt.volvo2012.fuel') in the attribute named 'look_template'. 00:01:29.859 : <ERROR> [unit] The unit '_nameless.840.9cc0' of type 'ui::text_common' has dangling pointer (to 'txt.volvo2012.fuel') in the attribute named 'look_template'. 00:01:29.860 : <WARNING> [unit] The pointer to 'txt.volvo2012.fuel' looks like dangling pointer. 00:01:29.860 : <ERROR> [unit] The unit '_nameless.840.9dd0' of type 'ui::text_common' has dangling pointer (to 'txt.volvo2012.clock') in the attribute named 'look_template'. 00:01:29.860 : <ERROR> [unit] The unit '_nameless.840.a650' of type 'ui::text_common' has dangling pointer (to 'txt.volvo2012.temp') in the attribute named 'look_template'. 00:01:29.860 : <ERROR> [unit] The unit '_nameless.840.9ee0' of type 'ui::text_common' has dangling pointer (to 'txt.volvo2012.speed_small') in the attribute named 'look_template'. 00:01:29.861 : <ERROR> [unit] The unit '_nameless.840.9ff0' of type 'ui::text_common' has dangling pointer (to 'txt.volvo2012.text') in the attribute named 'look_template'. 00:01:29.861 : <ERROR> [unit] The unit '_nameless.840.a210' of type 'ui::text_common' has dangling pointer (to 'txt.volvo2012.speed_small') in the attribute named 'look_template'. 00:01:29.861 : <WARNING> [unit] The pointer to 'txt.volvo2012.clock' looks like dangling pointer. 00:01:29.861 : <WARNING> [unit] The pointer to 'txt.volvo2012.temp' looks like dangling pointer. 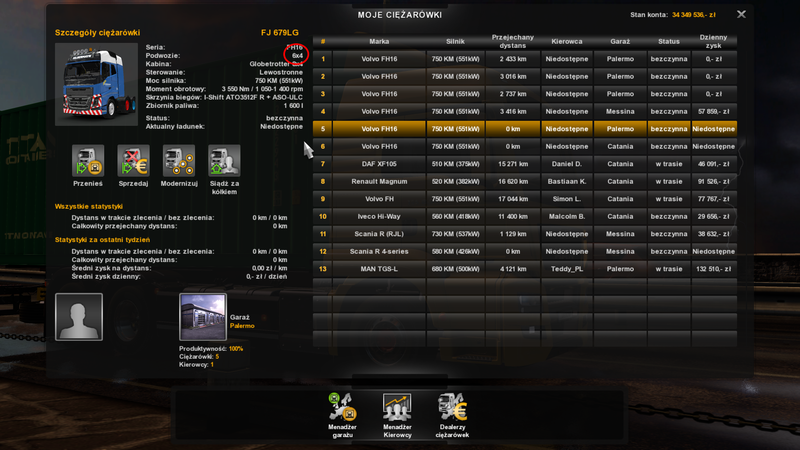 00:01:29.861 : <WARNING> [unit] The pointer to 'txt.volvo2012.speed_small' looks like dangling pointer. 00:01:29.861 : <WARNING> [unit] The pointer to 'txt.volvo2012.text' looks like dangling pointer. 00:01:29.861 : <ERROR> [unit] The unit '_nameless.840.a100' of type 'ui::text_common' has dangling pointer (to 'txt.volvo2012.textsmall') in the attribute named 'look_template'. 00:01:29.861 : <WARNING> [unit] The pointer to 'txt.volvo2012.textsmall' looks like dangling pointer. 00:01:29.861 : <ERROR> [unit] The unit '_nameless.8c5.86b0' of type 'ui::text_common' has dangling pointer (to 'txt.volvo2012.temp') in the attribute named 'look_template'. 00:01:29.861 : <ERROR> [unit] The unit '_nameless.8c5.87c0' of type 'ui::text_common' has dangling pointer (to 'txt.volvo2012.temp') in the attribute named 'look_template'. 00:01:29.861 : <ERROR> [unit] The unit '_nameless.840.9880' of type 'ui::text_common' has dangling pointer (to 'txt.volvo2012.speed_small') in the attribute named 'look_template'. 00:01:29.861 : <ERROR> [unit] The unit '_nameless.8c5.89e0' of type 'ui::text_common' has dangling pointer (to 'txt.volvo2012.textsmall') in the attribute named 'look_template'. 00:01:29.861 : <ERROR> [unit] The unit '_nameless.8c5.7f40' of type 'ui::text_common' has dangling pointer (to 'txt.volvo2012.textsmall') in the attribute named 'look_template'. 00:01:29.861 : <ERROR> [unit] The unit '_nameless.8c5.8050' of type 'ui::text_common' has dangling pointer (to 'txt.volvo2012.fuel') in the attribute named 'look_template'. 00:01:29.862 : <ERROR> [unit] The unit '_nameless.8c5.8160' of type 'ui::text_common' has dangling pointer (to 'txt.volvo2012.fuel') in the attribute named 'look_template'. 00:01:31.679 : <ERROR> [unit] The unit '_nameless.840.a650' of type 'ui::text_common' has dangling pointer (to 'txt.volvo2012.fuel') in the attribute named 'look_template'. 00:01:31.679 : <ERROR> [unit] The unit '_nameless.840.9ee0' of type 'ui::text_common' has dangling pointer (to 'txt.volvo2012.fuel') in the attribute named 'look_template'. 00:01:31.679 : <WARNING> [unit] The pointer to 'txt.volvo2012.fuel' looks like dangling pointer. 00:01:31.680 : <ERROR> [unit] The unit '_nameless.840.a210' of type 'ui::text_common' has dangling pointer (to 'txt.volvo2012.clock') in the attribute named 'look_template'. 00:01:31.680 : <ERROR> [unit] The unit '_nameless.840.9ff0' of type 'ui::text_common' has dangling pointer (to 'txt.volvo2012.temp') in the attribute named 'look_template'. 00:01:31.680 : <ERROR> [unit] The unit '_nameless.840.a100' of type 'ui::text_common' has dangling pointer (to 'txt.volvo2012.speed_small') in the attribute named 'look_template'. 00:01:31.681 : <ERROR> [unit] The unit '_nameless.899.cc20' of type 'ui::text_common' has dangling pointer (to 'txt.volvo2012.text') in the attribute named 'look_template'. 00:01:31.681 : <ERROR> [unit] The unit '_nameless.899.cd30' of type 'ui::text_common' has dangling pointer (to 'txt.volvo2012.speed_small') in the attribute named 'look_template'. 00:01:31.681 : <WARNING> [unit] The pointer to 'txt.volvo2012.clock' looks like dangling pointer. 00:01:31.682 : <WARNING> [unit] The pointer to 'txt.volvo2012.temp' looks like dangling pointer. 00:01:31.682 : <WARNING> [unit] The pointer to 'txt.volvo2012.speed_small' looks like dangling pointer. 00:01:31.682 : <WARNING> [unit] The pointer to 'txt.volvo2012.text' looks like dangling pointer. 00:01:31.682 : <ERROR> [unit] The unit '_nameless.899.ce40' of type 'ui::text_common' has dangling pointer (to 'txt.volvo2012.textsmall') in the attribute named 'look_template'. 00:01:31.682 : <WARNING> [unit] The pointer to 'txt.volvo2012.textsmall' looks like dangling pointer. 00:01:31.682 : <ERROR> [unit] The unit '_nameless.899.cf50' of type 'ui::text_common' has dangling pointer (to 'txt.volvo2012.temp') in the attribute named 'look_template'. 00:01:31.682 : <ERROR> [unit] The unit '_nameless.899.d060' of type 'ui::text_common' has dangling pointer (to 'txt.volvo2012.temp') in the attribute named 'look_template'. 00:01:31.682 : <ERROR> [unit] The unit '_nameless.840.9880' of type 'ui::text_common' has dangling pointer (to 'txt.volvo2012.speed_small') in the attribute named 'look_template'. 00:01:31.683 : <ERROR> [unit] The unit '_nameless.899.d170' of type 'ui::text_common' has dangling pointer (to 'txt.volvo2012.textsmall') in the attribute named 'look_template'. 00:01:31.683 : <ERROR> [unit] The unit '_nameless.899.d280' of type 'ui::text_common' has dangling pointer (to 'txt.volvo2012.textsmall') in the attribute named 'look_template'. 00:01:31.683 : <ERROR> [unit] The unit '_nameless.899.d390' of type 'ui::text_common' has dangling pointer (to 'txt.volvo2012.fuel') in the attribute named 'look_template'. 00:01:31.683 : <ERROR> [unit] The unit '_nameless.899.d4a0' of type 'ui::text_common' has dangling pointer (to 'txt.volvo2012.fuel') in the attribute named 'look_template'. 00:01:31.703 : <ERROR> [unit] The unit '_nameless.895.3ee0' of type 'ui::text_common' has dangling pointer (to 'txt.volvo2012.fuel') in the attribute named 'look_template'. 00:01:31.703 : <ERROR> [unit] The unit '_nameless.895.3dd0' of type 'ui::text_common' has dangling pointer (to 'txt.volvo2012.fuel') in the attribute named 'look_template'. 00:01:31.704 : <WARNING> [unit] The pointer to 'txt.volvo2012.fuel' looks like dangling pointer. 00:01:31.704 : <ERROR> [unit] The unit '_nameless.895.4210' of type 'ui::text_common' has dangling pointer (to 'txt.volvo2012.clock') in the attribute named 'look_template'. 00:01:31.704 : <ERROR> [unit] The unit '_nameless.895.3ff0' of type 'ui::text_common' has dangling pointer (to 'txt.volvo2012.temp') in the attribute named 'look_template'. 00:01:31.705 : <ERROR> [unit] The unit '_nameless.895.3bb0' of type 'ui::text_common' has dangling pointer (to 'txt.volvo2012.speed_small') in the attribute named 'look_template'. 00:01:31.705 : <ERROR> [unit] The unit '_nameless.895.4430' of type 'ui::text_common' has dangling pointer (to 'txt.volvo2012.text') in the attribute named 'look_template'. 00:01:31.705 : <ERROR> [unit] The unit '_nameless.895.4540' of type 'ui::text_common' has dangling pointer (to 'txt.volvo2012.speed_small') in the attribute named 'look_template'. 00:01:31.705 : <WARNING> [unit] The pointer to 'txt.volvo2012.clock' looks like dangling pointer. 00:01:31.706 : <WARNING> [unit] The pointer to 'txt.volvo2012.temp' looks like dangling pointer. 00:01:31.706 : <WARNING> [unit] The pointer to 'txt.volvo2012.speed_small' looks like dangling pointer. 00:01:31.706 : <WARNING> [unit] The pointer to 'txt.volvo2012.text' looks like dangling pointer. 00:01:31.706 : <ERROR> [unit] The unit '_nameless.895.4100' of type 'ui::text_common' has dangling pointer (to 'txt.volvo2012.textsmall') in the attribute named 'look_template'. 00:01:31.706 : <WARNING> [unit] The pointer to 'txt.volvo2012.textsmall' looks like dangling pointer. 00:01:31.707 : <ERROR> [unit] The unit '_nameless.8d5.c0f0' of type 'ui::text_common' has dangling pointer (to 'txt.volvo2012.temp') in the attribute named 'look_template'. 00:01:31.707 : <ERROR> [unit] The unit '_nameless.8d5.b870' of type 'ui::text_common' has dangling pointer (to 'txt.volvo2012.temp') in the attribute named 'look_template'. 00:01:31.707 : <ERROR> [unit] The unit '_nameless.895.4320' of type 'ui::text_common' has dangling pointer (to 'txt.volvo2012.speed_small') in the attribute named 'look_template'. 00:01:31.707 : <ERROR> [unit] The unit '_nameless.8d5.bcb0' of type 'ui::text_common' has dangling pointer (to 'txt.volvo2012.textsmall') in the attribute named 'look_template'. 00:01:31.707 : <ERROR> [unit] The unit '_nameless.8d5.bdc0' of type 'ui::text_common' has dangling pointer (to 'txt.volvo2012.textsmall') in the attribute named 'look_template'. 00:01:31.707 : <ERROR> [unit] The unit '_nameless.8d5.bfe0' of type 'ui::text_common' has dangling pointer (to 'txt.volvo2012.fuel') in the attribute named 'look_template'. 00:01:31.707 : <ERROR> [unit] The unit '_nameless.8d5.c420' of type 'ui::text_common' has dangling pointer (to 'txt.volvo2012.fuel') in the attribute named 'look_template'. 00:01:35.747 : <ERROR> [unit] The unit '_nameless.895.2540' of type 'ui::text_common' has dangling pointer (to 'txt.volvo2012.fuel') in the attribute named 'look_template'. 00:01:35.747 : <ERROR> [unit] The unit '_nameless.895.2100' of type 'ui::text_common' has dangling pointer (to 'txt.volvo2012.fuel') in the attribute named 'look_template'. 00:01:35.748 : <WARNING> [unit] The pointer to 'txt.volvo2012.fuel' looks like dangling pointer. 00:01:35.748 : <ERROR> [unit] The unit '_nameless.8c5.8050' of type 'ui::text_common' has dangling pointer (to 'txt.volvo2012.clock') in the attribute named 'look_template'. 00:01:35.748 : <ERROR> [unit] The unit '_nameless.8c5.7f40' of type 'ui::text_common' has dangling pointer (to 'txt.volvo2012.temp') in the attribute named 'look_template'. 00:01:35.748 : <ERROR> [unit] The unit '_nameless.8c5.8160' of type 'ui::text_common' has dangling pointer (to 'txt.volvo2012.speed_small') in the attribute named 'look_template'. 00:01:35.749 : <ERROR> [unit] The unit '_nameless.899.cb10' of type 'ui::text_common' has dangling pointer (to 'txt.volvo2012.text') in the attribute named 'look_template'. 00:01:35.749 : <ERROR> [unit] The unit '_nameless.899.d5b0' of type 'ui::text_common' has dangling pointer (to 'txt.volvo2012.speed_small') in the attribute named 'look_template'. 00:01:35.749 : <WARNING> [unit] The pointer to 'txt.volvo2012.clock' looks like dangling pointer. 00:01:35.749 : <WARNING> [unit] The pointer to 'txt.volvo2012.temp' looks like dangling pointer. 00:01:35.749 : <WARNING> [unit] The pointer to 'txt.volvo2012.speed_small' looks like dangling pointer. 00:01:35.749 : <WARNING> [unit] The pointer to 'txt.volvo2012.text' looks like dangling pointer. 00:01:35.749 : <ERROR> [unit] The unit '_nameless.899.d6c0' of type 'ui::text_common' has dangling pointer (to 'txt.volvo2012.textsmall') in the attribute named 'look_template'. 00:01:35.749 : <WARNING> [unit] The pointer to 'txt.volvo2012.textsmall' looks like dangling pointer. 00:01:35.749 : <ERROR> [unit] The unit '_nameless.899.cc20' of type 'ui::text_common' has dangling pointer (to 'txt.volvo2012.temp') in the attribute named 'look_template'. 00:01:35.749 : <ERROR> [unit] The unit '_nameless.899.cd30' of type 'ui::text_common' has dangling pointer (to 'txt.volvo2012.temp') in the attribute named 'look_template'. 00:01:35.749 : <ERROR> [unit] The unit '_nameless.899.ca00' of type 'ui::text_common' has dangling pointer (to 'txt.volvo2012.speed_small') in the attribute named 'look_template'. 00:01:35.750 : <ERROR> [unit] The unit '_nameless.899.ce40' of type 'ui::text_common' has dangling pointer (to 'txt.volvo2012.textsmall') in the attribute named 'look_template'. 00:01:35.750 : <ERROR> [unit] The unit '_nameless.899.cf50' of type 'ui::text_common' has dangling pointer (to 'txt.volvo2012.textsmall') in the attribute named 'look_template'. 00:01:35.750 : <ERROR> [unit] The unit '_nameless.899.d060' of type 'ui::text_common' has dangling pointer (to 'txt.volvo2012.fuel') in the attribute named 'look_template'. 00:01:35.750 : <ERROR> [unit] The unit '_nameless.899.d170' of type 'ui::text_common' has dangling pointer (to 'txt.volvo2012.fuel') in the attribute named 'look_template'. 00:01:35.761 : <ERROR> [unit] The unit '_nameless.840.9ee0' of type 'ui::text_common' has dangling pointer (to 'txt.volvo2012.fuel') in the attribute named 'look_template'. 00:01:35.761 : <ERROR> [unit] The unit '_nameless.840.a210' of type 'ui::text_common' has dangling pointer (to 'txt.volvo2012.fuel') in the attribute named 'look_template'. 00:01:35.761 : <WARNING> [unit] The pointer to 'txt.volvo2012.fuel' looks like dangling pointer. 00:01:35.762 : <ERROR> [unit] The unit '_nameless.840.a100' of type 'ui::text_common' has dangling pointer (to 'txt.volvo2012.clock') in the attribute named 'look_template'. 00:01:35.762 : <ERROR> [unit] The unit '_nameless.840.9ff0' of type 'ui::text_common' has dangling pointer (to 'txt.volvo2012.temp') in the attribute named 'look_template'. 00:01:35.762 : <ERROR> [unit] The unit '_nameless.840.9880' of type 'ui::text_common' has dangling pointer (to 'txt.volvo2012.speed_small') in the attribute named 'look_template'. 00:01:35.762 : <ERROR> [unit] The unit '_nameless.895.3dd0' of type 'ui::text_common' has dangling pointer (to 'txt.volvo2012.text') in the attribute named 'look_template'. 00:01:35.763 : <ERROR> [unit] The unit '_nameless.895.4210' of type 'ui::text_common' has dangling pointer (to 'txt.volvo2012.speed_small') in the attribute named 'look_template'. 00:01:35.763 : <WARNING> [unit] The pointer to 'txt.volvo2012.clock' looks like dangling pointer. 00:01:35.763 : <WARNING> [unit] The pointer to 'txt.volvo2012.temp' looks like dangling pointer. 00:01:35.763 : <WARNING> [unit] The pointer to 'txt.volvo2012.speed_small' looks like dangling pointer. 00:01:35.763 : <WARNING> [unit] The pointer to 'txt.volvo2012.text' looks like dangling pointer. 00:01:35.763 : <ERROR> [unit] The unit '_nameless.895.3ff0' of type 'ui::text_common' has dangling pointer (to 'txt.volvo2012.textsmall') in the attribute named 'look_template'. 00:01:35.763 : <WARNING> [unit] The pointer to 'txt.volvo2012.textsmall' looks like dangling pointer. 00:01:35.763 : <ERROR> [unit] The unit '_nameless.895.3bb0' of type 'ui::text_common' has dangling pointer (to 'txt.volvo2012.temp') in the attribute named 'look_template'. 00:01:35.763 : <ERROR> [unit] The unit '_nameless.895.4430' of type 'ui::text_common' has dangling pointer (to 'txt.volvo2012.temp') in the attribute named 'look_template'. 00:01:35.763 : <ERROR> [unit] The unit '_nameless.895.3ee0' of type 'ui::text_common' has dangling pointer (to 'txt.volvo2012.speed_small') in the attribute named 'look_template'. 00:01:35.763 : <ERROR> [unit] The unit '_nameless.895.4540' of type 'ui::text_common' has dangling pointer (to 'txt.volvo2012.textsmall') in the attribute named 'look_template'. 00:01:35.763 : <ERROR> [unit] The unit '_nameless.895.4100' of type 'ui::text_common' has dangling pointer (to 'txt.volvo2012.textsmall') in the attribute named 'look_template'. 00:01:35.763 : <ERROR> [unit] The unit '_nameless.895.4320' of type 'ui::text_common' has dangling pointer (to 'txt.volvo2012.fuel') in the attribute named 'look_template'. 00:01:35.763 : <ERROR> [unit] The unit '_nameless.8d5.b980' of type 'ui::text_common' has dangling pointer (to 'txt.volvo2012.fuel') in the attribute named 'look_template'. 00:01:37.101 : <ERROR> [unit] The unit '_nameless.895.3bb0' of type 'ui::text_common' has dangling pointer (to 'txt.volvo2012.fuel') in the attribute named 'look_template'. 00:01:37.102 : <ERROR> [unit] The unit '_nameless.895.4430' of type 'ui::text_common' has dangling pointer (to 'txt.volvo2012.fuel') in the attribute named 'look_template'. 00:01:37.102 : <WARNING> [unit] The pointer to 'txt.volvo2012.fuel' looks like dangling pointer. 00:01:37.102 : <ERROR> [unit] The unit '_nameless.895.4540' of type 'ui::text_common' has dangling pointer (to 'txt.volvo2012.clock') in the attribute named 'look_template'. 00:01:37.103 : <ERROR> [unit] The unit '_nameless.895.3ee0' of type 'ui::text_common' has dangling pointer (to 'txt.volvo2012.temp') in the attribute named 'look_template'. 00:01:37.103 : <ERROR> [unit] The unit '_nameless.895.4100' of type 'ui::text_common' has dangling pointer (to 'txt.volvo2012.speed_small') in the attribute named 'look_template'. 00:01:37.103 : <ERROR> [unit] The unit '_nameless.8d5.b980' of type 'ui::text_common' has dangling pointer (to 'txt.volvo2012.text') in the attribute named 'look_template'. 00:01:37.104 : <ERROR> [unit] The unit '_nameless.8d5.bcb0' of type 'ui::text_common' has dangling pointer (to 'txt.volvo2012.speed_small') in the attribute named 'look_template'. 00:01:37.104 : <WARNING> [unit] The pointer to 'txt.volvo2012.clock' looks like dangling pointer. 00:01:37.104 : <WARNING> [unit] The pointer to 'txt.volvo2012.temp' looks like dangling pointer. 00:01:37.104 : <WARNING> [unit] The pointer to 'txt.volvo2012.speed_small' looks like dangling pointer. 00:01:37.105 : <WARNING> [unit] The pointer to 'txt.volvo2012.text' looks like dangling pointer. 00:01:37.105 : <ERROR> [unit] The unit '_nameless.8d5.bdc0' of type 'ui::text_common' has dangling pointer (to 'txt.volvo2012.textsmall') in the attribute named 'look_template'. 00:01:37.105 : <WARNING> [unit] The pointer to 'txt.volvo2012.textsmall' looks like dangling pointer. 00:01:37.105 : <ERROR> [unit] The unit '_nameless.8d5.bfe0' of type 'ui::text_common' has dangling pointer (to 'txt.volvo2012.temp') in the attribute named 'look_template'. 00:01:37.105 : <ERROR> [unit] The unit '_nameless.8d5.c420' of type 'ui::text_common' has dangling pointer (to 'txt.volvo2012.temp') in the attribute named 'look_template'. 00:01:37.105 : <ERROR> [unit] The unit '_nameless.895.4320' of type 'ui::text_common' has dangling pointer (to 'txt.volvo2012.speed_small') in the attribute named 'look_template'. 00:01:37.105 : <ERROR> [unit] The unit '_nameless.899.d7d0' of type 'ui::text_common' has dangling pointer (to 'txt.volvo2012.textsmall') in the attribute named 'look_template'. 00:01:37.105 : <ERROR> [unit] The unit '_nameless.899.d4a0' of type 'ui::text_common' has dangling pointer (to 'txt.volvo2012.textsmall') in the attribute named 'look_template'. 00:01:37.105 : <ERROR> [unit] The unit '_nameless.899.cb10' of type 'ui::text_common' has dangling pointer (to 'txt.volvo2012.fuel') in the attribute named 'look_template'. 00:01:37.106 : <ERROR> [unit] The unit '_nameless.899.d5b0' of type 'ui::text_common' has dangling pointer (to 'txt.volvo2012.fuel') in the attribute named 'look_template'. 00:01:37.126 : <ERROR> [unit] The unit '_nameless.899.d170' of type 'ui::text_common' has dangling pointer (to 'txt.volvo2012.fuel') in the attribute named 'look_template'. 00:01:37.126 : <ERROR> [unit] The unit '_nameless.840.9990' of type 'ui::text_common' has dangling pointer (to 'txt.volvo2012.fuel') in the attribute named 'look_template'. 00:01:37.127 : <WARNING> [unit] The pointer to 'txt.volvo2012.fuel' looks like dangling pointer. 00:01:37.127 : <ERROR> [unit] The unit '_nameless.840.a210' of type 'ui::text_common' has dangling pointer (to 'txt.volvo2012.clock') in the attribute named 'look_template'. 00:01:37.127 : <ERROR> [unit] The unit '_nameless.840.9aa0' of type 'ui::text_common' has dangling pointer (to 'txt.volvo2012.temp') in the attribute named 'look_template'. 00:01:37.128 : <ERROR> [unit] The unit '_nameless.840.a100' of type 'ui::text_common' has dangling pointer (to 'txt.volvo2012.speed_small') in the attribute named 'look_template'. 00:01:37.128 : <ERROR> [unit] The unit '_nameless.840.9880' of type 'ui::text_common' has dangling pointer (to 'txt.volvo2012.text') in the attribute named 'look_template'. 00:01:37.128 : <ERROR> [unit] The unit '_nameless.840.9dd0' of type 'ui::text_common' has dangling pointer (to 'txt.volvo2012.speed_small') in the attribute named 'look_template'. 00:01:37.129 : <WARNING> [unit] The pointer to 'txt.volvo2012.clock' looks like dangling pointer. 00:01:37.129 : <WARNING> [unit] The pointer to 'txt.volvo2012.temp' looks like dangling pointer. 00:01:37.129 : <WARNING> [unit] The pointer to 'txt.volvo2012.speed_small' looks like dangling pointer. 00:01:37.129 : <WARNING> [unit] The pointer to 'txt.volvo2012.text' looks like dangling pointer. 00:01:37.130 : <ERROR> [unit] The unit '_nameless.895.1bb0' of type 'ui::text_common' has dangling pointer (to 'txt.volvo2012.textsmall') in the attribute named 'look_template'. 00:01:37.130 : <WARNING> [unit] The pointer to 'txt.volvo2012.textsmall' looks like dangling pointer. 00:01:37.130 : <ERROR> [unit] The unit '_nameless.895.1dd0' of type 'ui::text_common' has dangling pointer (to 'txt.volvo2012.temp') in the attribute named 'look_template'. 00:01:37.130 : <ERROR> [unit] The unit '_nameless.895.1ee0' of type 'ui::text_common' has dangling pointer (to 'txt.volvo2012.temp') in the attribute named 'look_template'. 00:01:37.130 : <ERROR> [unit] The unit '_nameless.840.9ff0' of type 'ui::text_common' has dangling pointer (to 'txt.volvo2012.speed_small') in the attribute named 'look_template'. 00:01:37.130 : <ERROR> [unit] The unit '_nameless.895.2540' of type 'ui::text_common' has dangling pointer (to 'txt.volvo2012.textsmall') in the attribute named 'look_template'. 00:01:37.130 : <ERROR> [unit] The unit '_nameless.895.2100' of type 'ui::text_common' has dangling pointer (to 'txt.volvo2012.textsmall') in the attribute named 'look_template'. 00:01:37.131 : <ERROR> [unit] The unit '_nameless.8c5.87c0' of type 'ui::text_common' has dangling pointer (to 'txt.volvo2012.fuel') in the attribute named 'look_template'. 00:01:37.131 : <ERROR> [unit] The unit '_nameless.8c5.89e0' of type 'ui::text_common' has dangling pointer (to 'txt.volvo2012.fuel') in the attribute named 'look_template'. 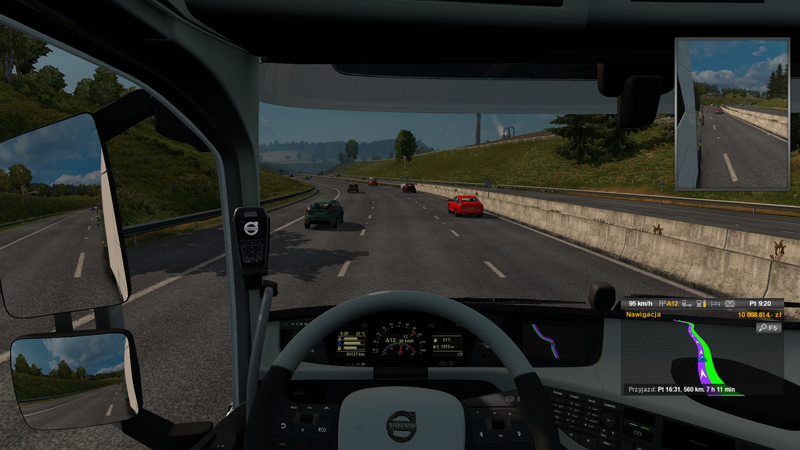 As for Volvo to Ets2 on patch 1.30, I noticed that in quick orders how to choose orders from Great Britain or from Ireland (when using ProMod) where traffic is left-handed, the steering meets our standards in Europe and the steering wheel is on the left not on the right. One could change that in quick orders there was no interior with the passenger's armchair turned in my direction, because it bothers and completely obscures the visibility, for example when leaving the intersection without T-type lights (example Great Britain) turning left and looking right You can not even see if anything is coming and if you can safely enter the intersection avoiding a collision, larger vehicles such as buses or trucks could still be seen, but when it comes to small passenger cars it is already worse. 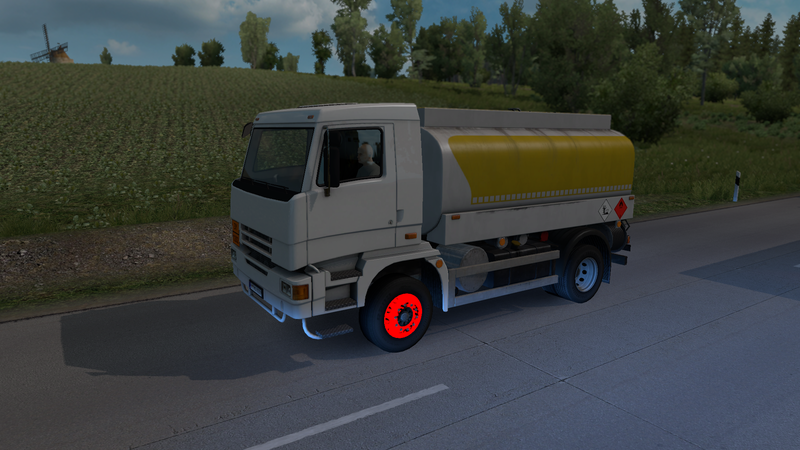 Do you have an old version or another fh16 mod? there should be an opition to move it, did you go to the bottom of the interior list? Errors in the interface appeared already in the previous version, I reported this a few posts above and more specifically in post # 66 in this section, I do not remember exactly whether it was in 6.0 or 6.1 on patch 1.28 or 1.29 to Ats. 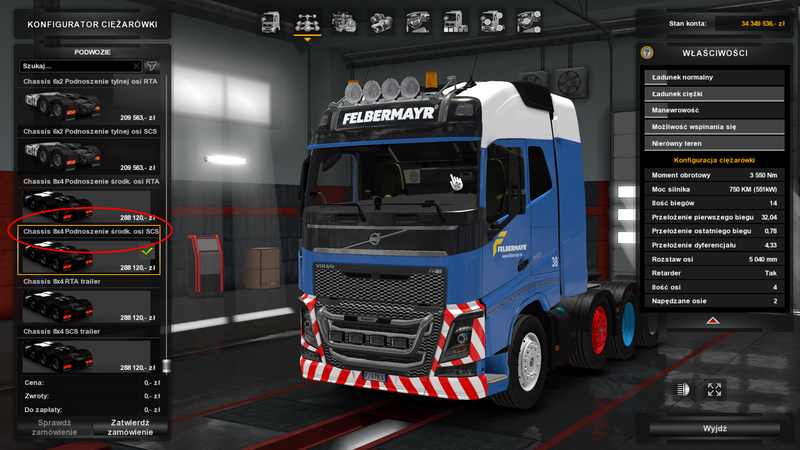 I do not have an earlier version 6.1 in the mods manager and I also do not use another module on the Volvo FH16 to Ats. I sold the truck, I removed the old version 6.1, I uploaded the new 6.2 version, I bought a truck and it is unfortunately the same interior as I described a few posts above, only with the difference that in v6.2 I did not switch information on it because I had fears that it would blow me to the desktop as it was before. mharr304 wrote: there should be an opition to move it, did you go to the bottom of the interior list? Unfortunately, I do not quite understand what you mean. 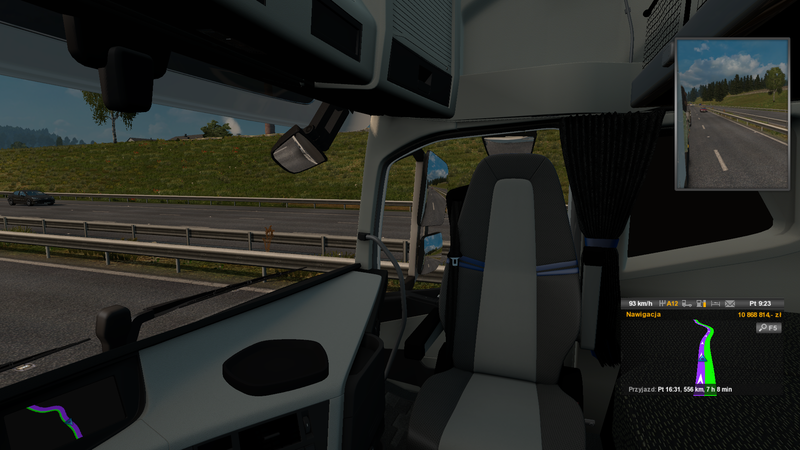 When I was choosing a quick order, I just got into the interior with this swivel chair in my direction and it bothered me a little while performing the order, and I was still ordering from Ireland where the traffic is left-handed and goes against the current. 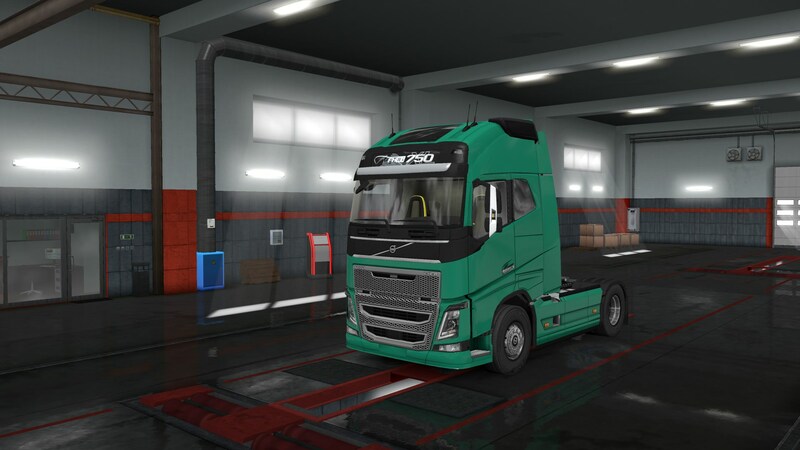 I know that it could be changed but after all, not all files are available and this file is needed, I do not have access to it, because that's how long ago I would do the tuning of trucks in quick Volvo orders and all that I have and probably would change it . Teddy_PL wrote: Unfortunately, I do not quite understand what you mean. добрый день. а у меня вообще она в игре не появилась. первый раз такое случается. и что делать в этом случае. в мода 6.1 версия игры 1.31 бета. 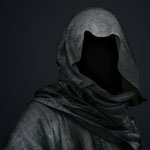 00:59:43.785 : <ERROR> [unit] The file '/def/vehicle/truck_dealer/volvo/volvo_3.sii' does not contain serialised units - missing magic mark. "Я сперва служу России, а потом уже себе" - вице канцлер России граф Бестужев. I noticed one small bug which unfortunately spoils the whole game because it does not look good. Mod checked twice on the profile only with the active mod on Volvo and after the deactivation of fashion everything is fine. There are no problems when buying a truck and modifications. The last version 6.2 for the game version 1.31.x. thanks Admin-RTA. I had the same issue..
Any plans on adding sideskirts for the 6x2 / 6x4 chassis ? as you can see your Volvo displays the same color brighter. can this be fixed please?